Krystal Simmons has been a member of the Sea Organization (a fraternal organization of those who have dedicated their lives to achieving the aims and goals of Scientology) since late 1991. She works as an executive in Human Resources of Golden Era Productions. She has cared for the staff day in and day out for close to two decades. 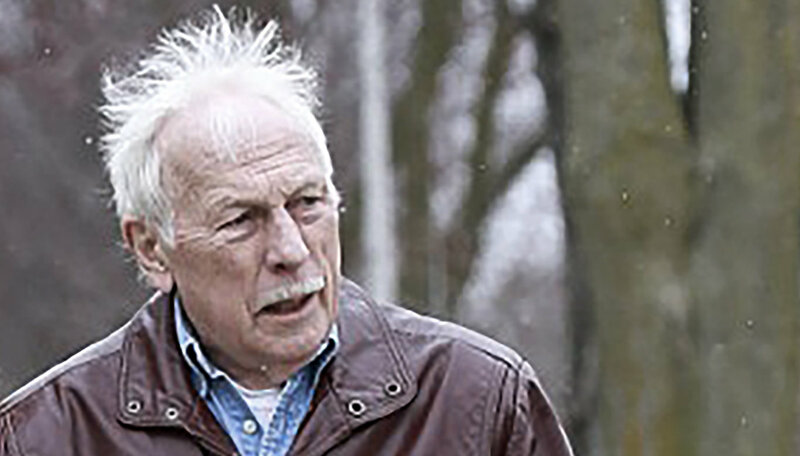 Ron Miscavige worked in the Music Department of Golden Era Productions for over 25 years. From my experience in Human Resources, both my personal experience and from complaints filed by other staff on Ron Miscavige, one would summarize his behavior, performance and attitude as difficult, inconsiderate, self-important, self-seeking and considering himself above the law. As for Ron’s dealings with me in particular: I’m an African-American woman and was in my mid 20s and 115-118 pounds at the time this incident occurred. As a backdrop, I LOVE helping and working with people, particularly people dedicated to helping others. Anyone who knows me, Scientologist and non-Scientologist alike, knows that it drives me. I had the opportunity to observe and, on a few occasions, work with Mr. David Miscavige. He is very caring about staff and their needs. He has an incredible work ethic, has high moral standards and is a damn hard worker. It is truly very impressive. So when I would later come across the path of his father, of course, anyone would think they’d find something similar. Yet I was shocked and to a degree embarrassed to find quite the opposite. Honestly, there were several instances where he was slighting and rude towards me personally and seemed to exude a chronic grudge. (Later I found out that he had been heard on many occasions making racial slurs.) I consider myself quite easy to get along with so I was at a loss as to why he felt this way. He told me several times that I had something “on him” because he was the father of Mr. David Miscavige. We provide Scientology study programs in the Human Resources department. There was a particular time I went to see Ron concerning his studies, which he was not attending. I was inquiring into why this was. He got into a “How dare you!”-mode. Acting like bringing this up was beneath him. (I might add, Ron did not hold a function of seniority at all but insisted on being treated as such because of who his son was.) When asking Ron about his study attendance he got extremely upset, and without explanation as to why he literally started talking to me in a tone of hatred, with gritted teeth, saying “YOU SON OF A B - - - -! YOU F - - - - - - C- -T, YOU LITTLE F - - - - - - B - - - -, YOU MOTHER F - - - - -!” At first I was stunned and a bit nervous. But I wanted to resolve this upset and told him that I was willing to accept that I had said something upsetting to him, but that I would like him to also be willing to view his part in this upset. At that he literally charged toward me. Honestly, I didn’t think he’d do anything as I was a slight woman at the time. But I was wrong about this, and he pushed me up against the door. The gentleman witnessing this pulled him off of me before he could do anything else saying “Ron, she’s a woman!” Later, when Ron was “apologizing” he was only willing to admit wrongdoing (kind of) as far as the topic of discussion (study) and then asserted “but I DIDN’T TOUCH YOU!” I was in disbelief and stayed silent. He then said again “I DIDN’T TOUCH YOU, YOU GOT THAT! ?” This was totally bizarre. I didn’t answer and rode over it, as all I cared about at the time was handling the upset. As I said, there was a gentleman in the room at the time who stopped Ron from doing anything further. I later found out that the gentleman had filed a complaint that same day on Ron’s attack on me. At that he literally charged toward me. Honestly, I didn’t think he’d do anything, as I was a slight woman at the time. But I was wrong about this, and he pushed me up against the door. In addition to Ron’s behavior to staff, he was also notably dishonest. He artfully twisted the truth to suit himself on many occasions. When seeing this pattern I’d began to think “he’s like a used car salesman.” Of course I wouldn’t have uttered this at the time. Then in one discussion when boasting about his skills, he said that before coming to Gold he’d made a living as a salesman! Combine that with the fact that he had also been in the Marines and … well, looking back, his behavior shouldn’t have been surprising. There is another complaint that was filed by a staff member stating that when she went to the Avis Rental Car company and the person who worked there learned she was a Scientologist, he spoke to her about Ron Miscavige. The employee stated that he usually never has problems with Scientologists and was surprised with Ron’s behavior. He stated that Ron was very rude and was ill-mannered in his dealings with him. So much so that the employee stated that he would not service Ron in the future and did not want his business. Ron never could and never would live up to any standard of any well-intentioned group. The above are only a few of several complaints from staff and non-Scientologists alike. We are a group whose ethics and moral standards are a little higher than most. Ron never could and never would live up to any standard of any well-intentioned group.